I did something crafty last week. Woohoo. 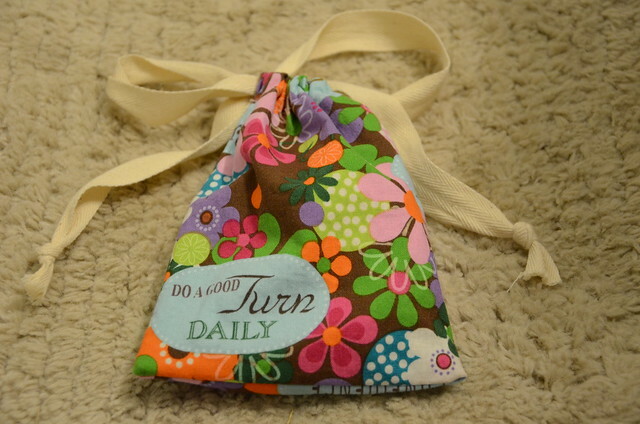 Last week I helped Harper's Brownie troop with a sewing project. They are working on their Stitch It Patch, so I came up with the idea to have the girls sew a simple bag on the sewing machine. 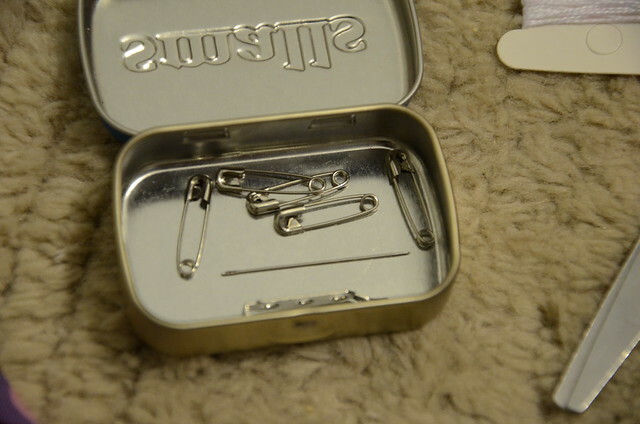 The bag then could be used to hold sewing supplies. 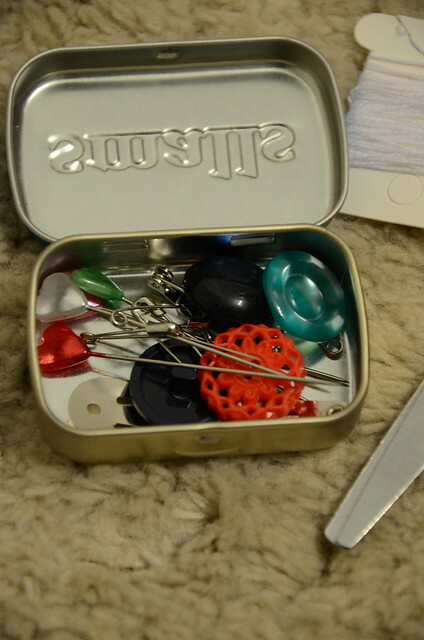 At the end of the meeting each girl would leave with a sewing kit. I was a little nervous about teaching them to sew on the sewing machine, but they all did great. I cut all the fabric and twill tape ahead of time to make it easier. I just used supplies I already had at home, except for the scissors. 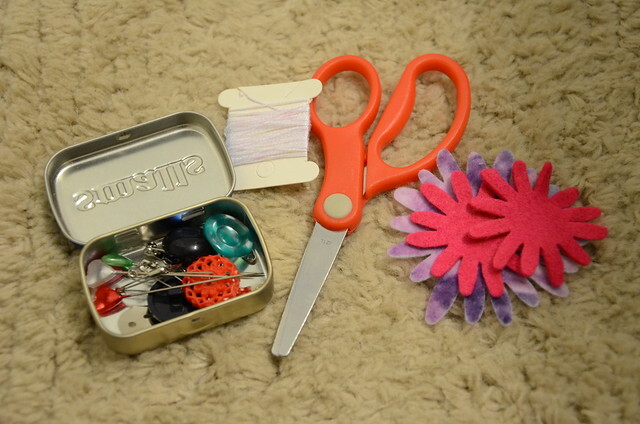 I also brought my sizzix and a bunch of felt so that they could cut out shapes to make flowers. They loved cutting all the felt pieces. It also put a good dent in my felt stash, which was nice. 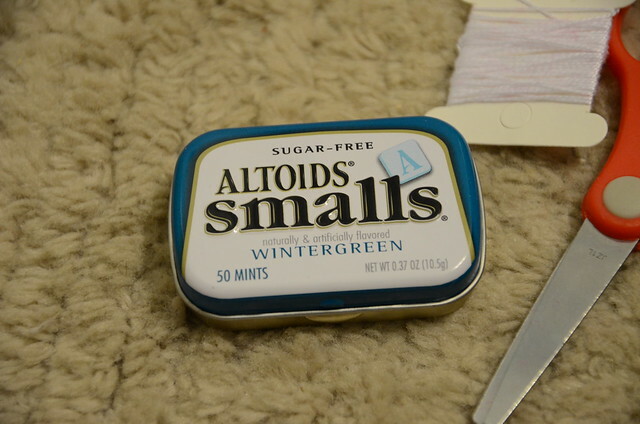 All the little items fit perfectly in this little altoid tin. My mom had a stash of them and she was nice enough to donate them for the project. 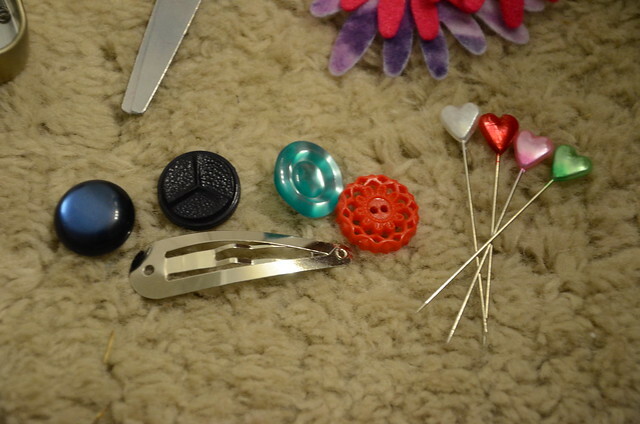 I let them pick some buttons and pins from my stash along with some needles and safety pins. Everything fit neatly into their bag. I think the girls enjoyed the project. It did get a little chaotic, but overall I would call it a success. 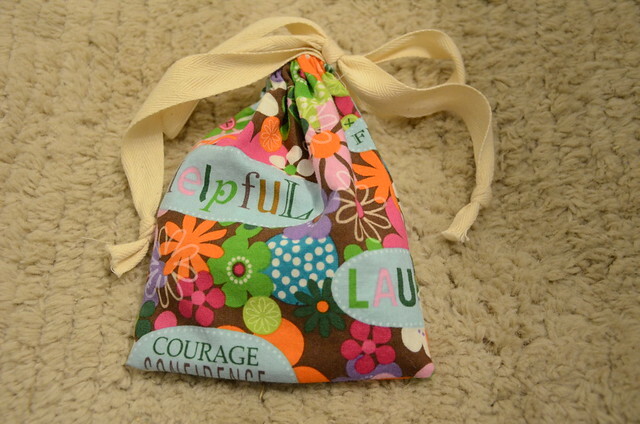 One of the little girls used the felt to make a flower and sewed it to the front of the bag. It was very sweet. Hopefully some of them will be inspired to create some more wonderful things. What a sweet little kit. You are so awesome. I always enjoy seeing the progress in your kitchen, as well. That is a cute idea! I've got to teach cross stitch to our group of girls in Keeper's of the Faith next month. I'm already getting nervous about it. That is a wonderful little kit. Great job on it and very nice that you put everything together for them. Hopefully they will be inspired to create!